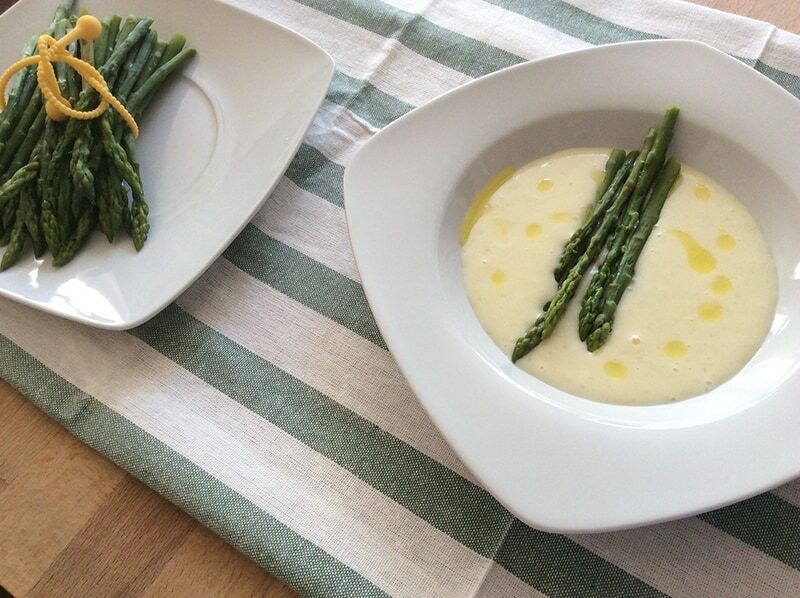 A beautiful bowl of Cream of Asparagus Soup is a delicious and special dish for any seasonal gathering or simply an afternoon luxury. 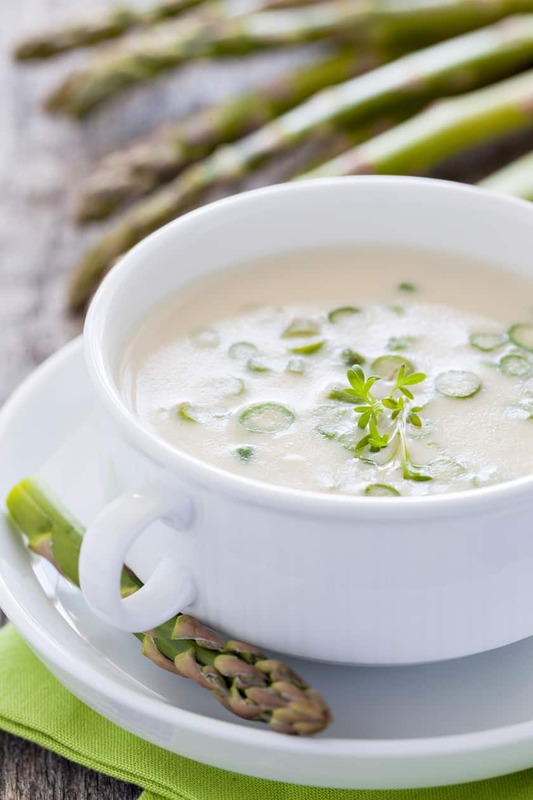 An easy but delicate in-season Cream of Asparagus Soup that makes a special statement. 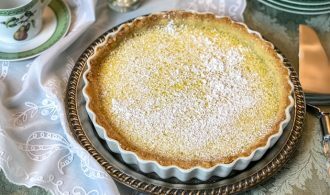 This recipe calls for an immersion blender, but if you don’t have one, a regular blender works just as well. Remove the vegetables from the soup once cooked, run through a blender, and return to the soup pot. A final run through a sieve delivers a silky smooth and beautiful soup. 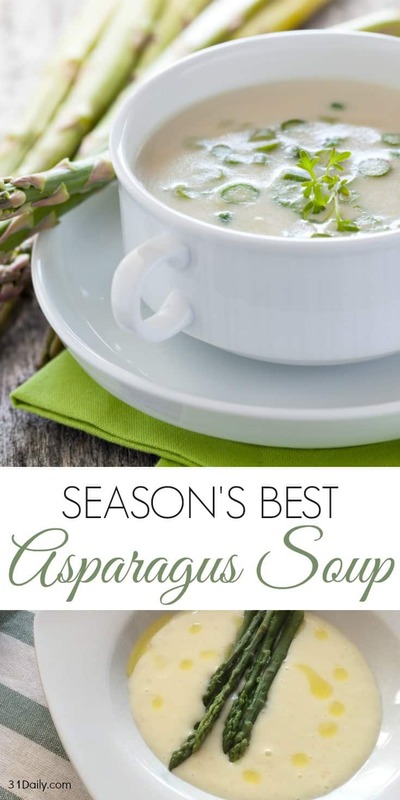 One of my favorite spring soups! Remove the tough stems from the asparagus spears. Reserve 6 asparagus tips for garnish and set aside. 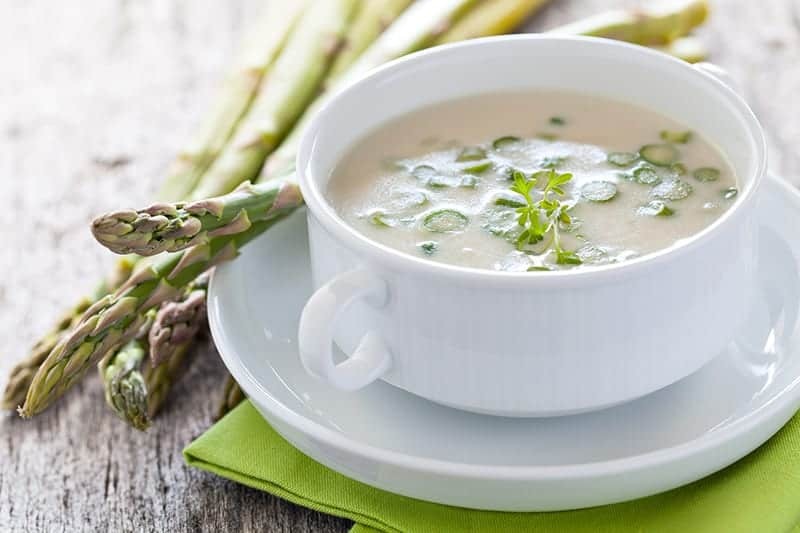 If the asparagus spears are large, peel them to remove outer skin which can become bitter in the soup. Chop asparagus into 1-inch pieces. Melt the butter in a heavy soup pot over medium heat. Add the onion, garlic, and shallots, sauté, stirring occasionally, until tender and translucent, 3 to 4 minutes. Cover the onion, garlic and shallots with lemon juice and cook until most of the liquid has evaporated. Add the chopped asparagus and stock, season with salt, pepper and nutmeg and bring to a simmer. 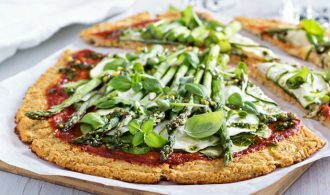 Reduce the heat to medium-low, cover and cook until the asparagus is tender, about 10 – 15 minutes. Using an immersion blender, puree the soup until smooth, about 2 minutes. Strain the soup. Stir in the cream plus more stock if needed to reach the desired consistency. Season with salt and pepper. Set the pan over low heat and reheat the soup to serving temperature. In a small sauté pan over medium heat, melt 2 teaspoons butter. Add the reserved asparagus tips and cook until just tender, about 2 minutes. 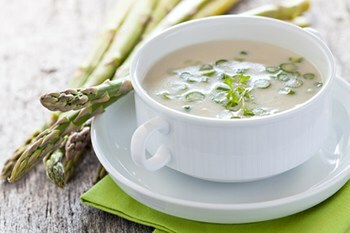 Ladle the soup into bowls, garnish with the asparagus tips and serve immediately.